Wine description: Luminous pale yellow in color Luminous pale yellow in color, this wine shows well-balanced apple, banana and vanilla notes. Full of character, it is well-structured and pleasantly salty on the tongue. Partial aging in small oak barrels lends this wine structure and elegance. It is well suited to cellar aging. Serving suggestion: This white wine makes a good companion to all sorts of appetizers, seafood, poultry, pork or veal. Vinification: fermentation in stainless steel tanks between 20 - 21°C. ; 10% of the wine was fermented and aged in barriques the rest was aged for 5 months on the fine lees in the tank. 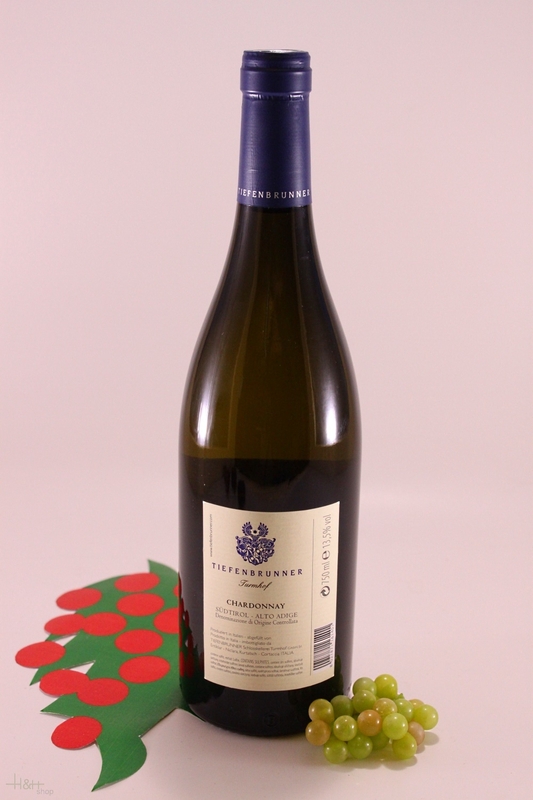 "Vinum Wine Magazine" has rated the wine "Tiefenbrunner Turmhof Chardonnay Alto Adige, Trentino-Alto Adige, Italy" from the vintage 2012 on 01.02.2014 with 14 of 20 points. 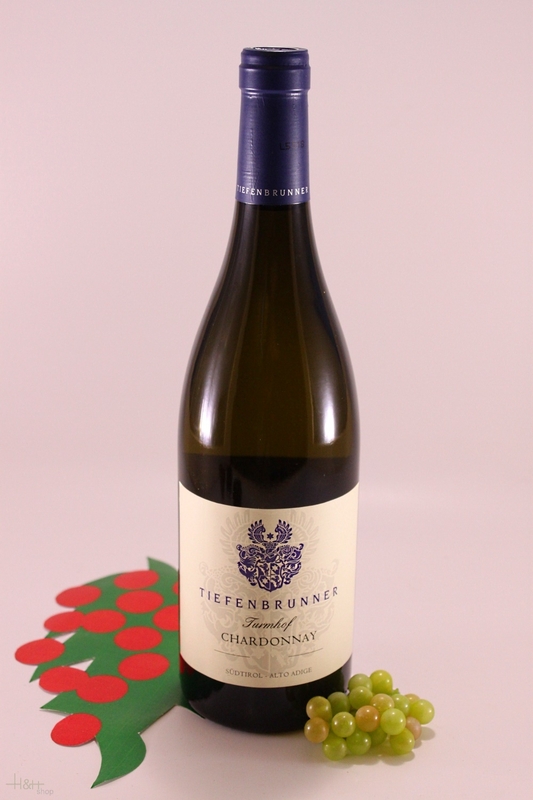 "Wine Spectator" has rated the wine "Tiefenbrunner Turmhof Chardonnay Alto Adige, Trentino-Alto Adige, Italy" from the vintage 2008 on 31.08.2009 with 90 of 100 points. "Wine Spectator" has rated the wine "Tiefenbrunner Turmhof Chardonnay Alto Adige, Trentino-Alto Adige, Italy" from the vintage 1993 on 31.01.1995 with 85 of 100 points.